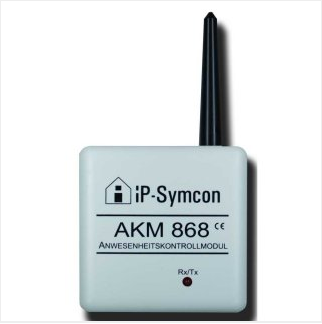 This binding is for users coming from the proprietary homeautomation-system "IP-Symcon". If you have bought some hardware from them, you can use this binding to enable your AKM868 presence detection system. The binding can be configured in the file services/akm868.cfg. The id represents the ID of your OVO-Tracker. 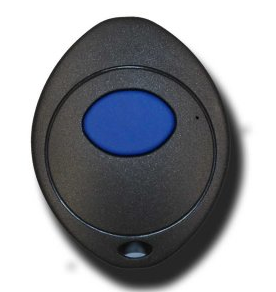 This item would turn the Switch to ON as soon as openHAB receives a PING from the tracker. It will turn the Switch to OFF if the tracker doesn't send another PING within the given timeframe (timeout value from the configuration). This item would turn the Switch to ON every time the key was pressed. This item would turn the Switch to ON every time the key was pressed for a longer time. 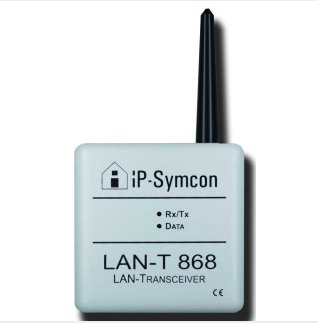 rule "Turn off WIFI if not at Home"
You must use a LANT-868 Adapter. The USB868-Adapter doesn't work. However, if you own a USB adapter, there is a workaround utilizing the Serial binding (1.x). DateTime Presence_AKM1_LastUpdate	"Key 1: Last Update:  [%1$td.%1$tm.%1$tY %1$tT]"
String   Presence_AKM1_Action 		"Key 1: Last Action:  [%s]"
A second rule is needed to periodically check if the there was an update from the keyfob. If there was no update in the last 100 seconds, the assumption is that the fob is out of range. Time cron "0 0/1 * * * ?"